Temporary home is still a home. 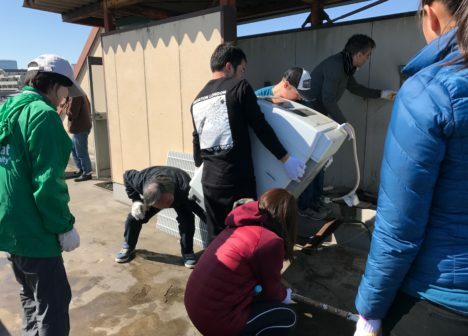 TOKYO (March 17, 2018) – A team of volunteers from Bloomberg L.P. Tokyo, arrived in Nakano area in the sunny Saturday morning to help those living in a shelter run by our partner organization Tsukuroi Tokyo Fund. The shelter is an important place for those who have lived on the streets, in the parks, on in the internet cafes until just recently to have a good physical and mental rest. The residents of the shelter stabilize their daily lives staying in a private room equipped with clean toilet, bath, and kitchen. The shelter also provides basic appliances such as refrigerator, washing machine and rice cooker. The time spent here is important for them to prepare themselves for taking the next step forward. 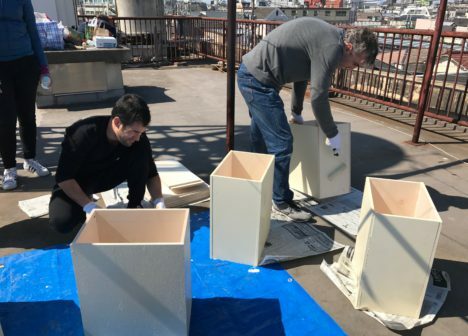 In order to make the living condition of this shelter more comfortable, the Bloomberg L.P. team of six volunteers helped to replace the wooden platform on which the shared washing machines stand with more stable metal frames, assembled the parts of shelves and trash bins for each room, and painted the ceiling boards that was stained by rain leakage. The shelter is a temporary place to stay, but for the residents, it is still a home for weeks to months. The work by volunteers supporting Habitat helps the place to be maintained and made safer. 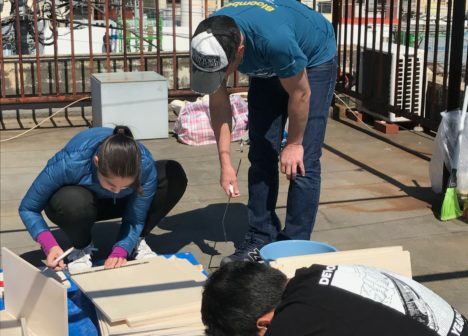 With the strong volunteer team, we were able to make another home a comfortable place to live. 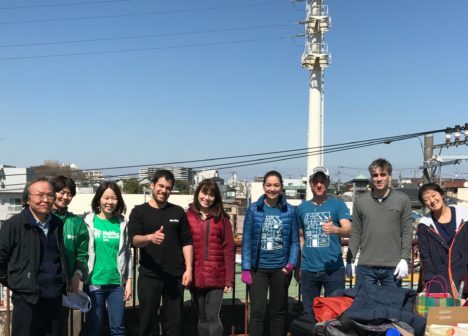 Thank you Bloomberg volunteers!! 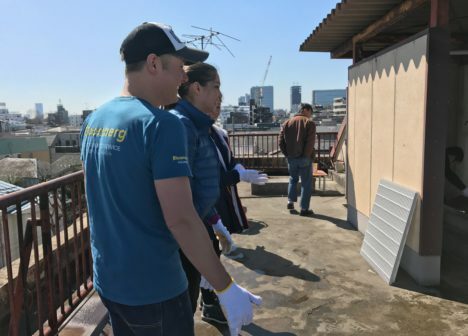 Habitat Japan continues to support people facing challenges with housing through repair work, cleaning support, and every other way possible, in partnership with volunteers, corporations and organizations.